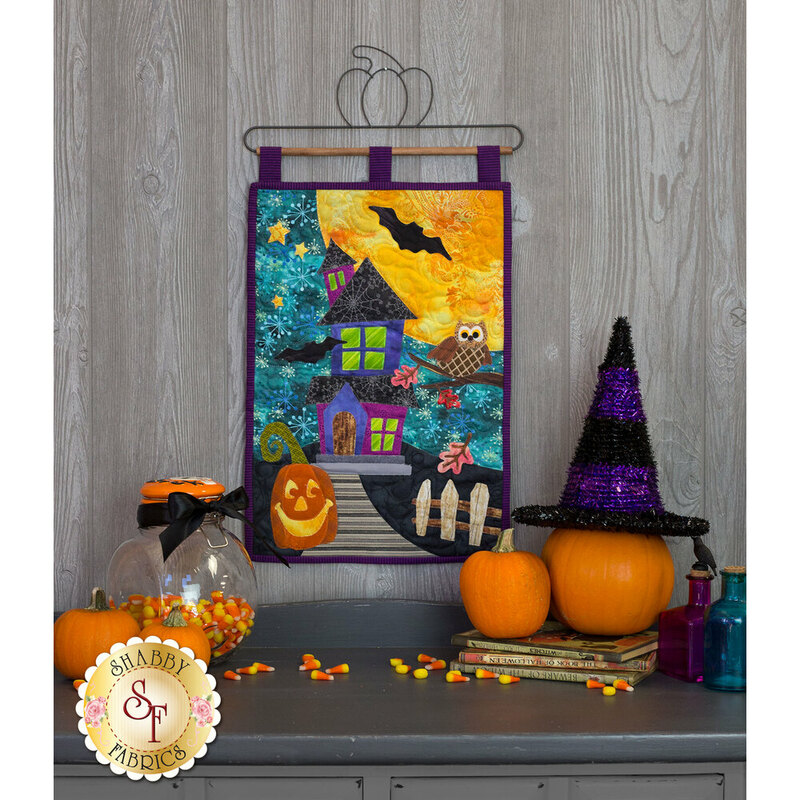 Give your home a spooktacular touch this Halloween season with the Halloween Patch Series Wall Hanging Pattern. 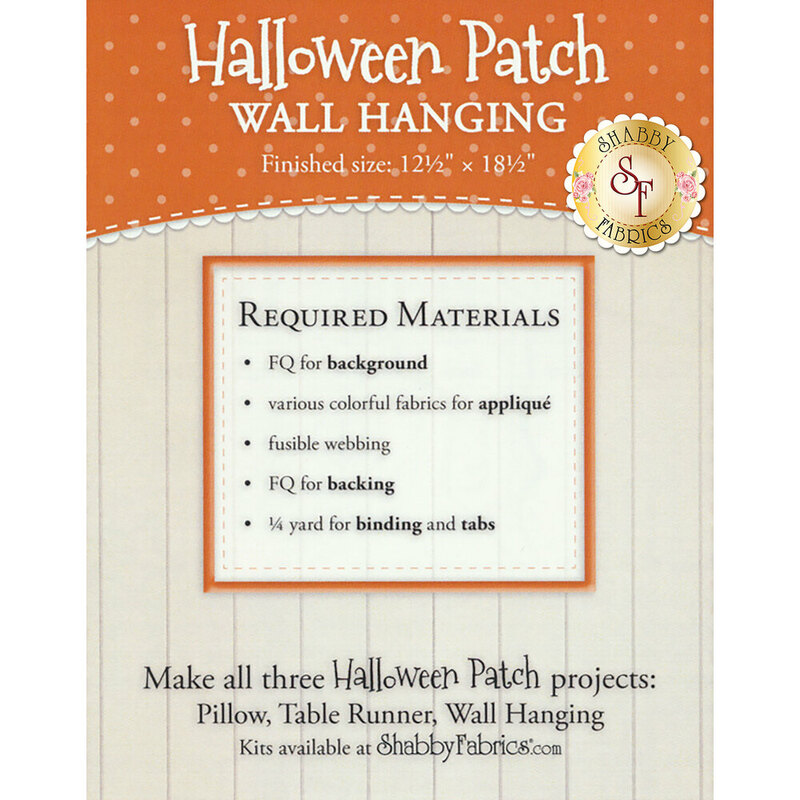 To coordinate your entire home, you can also make the Halloween Patch Series Pillow and Table Runner. 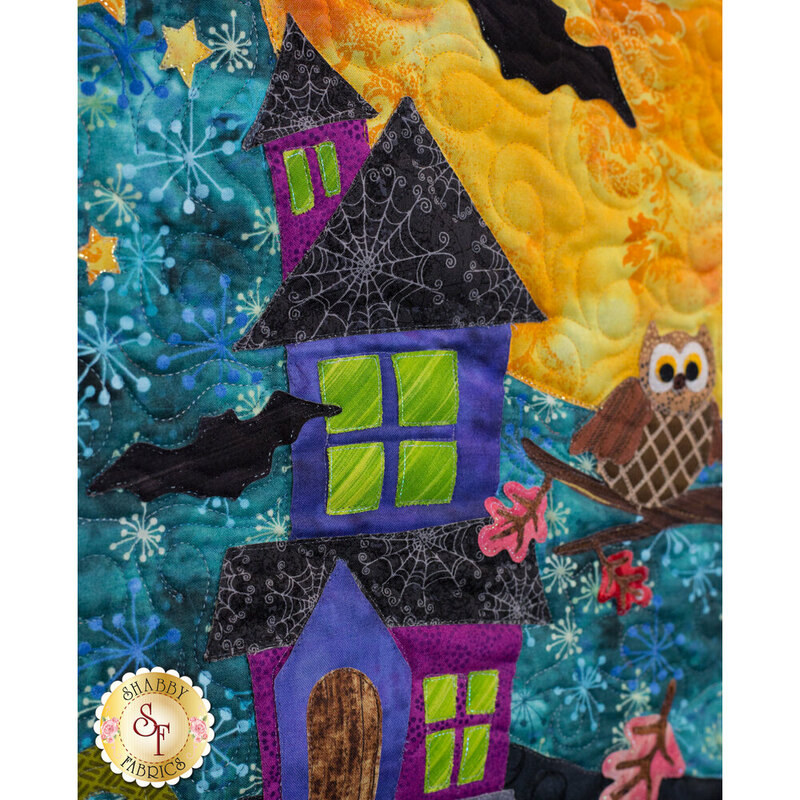 Designed by and exclusively available at Shabby Fabrics! 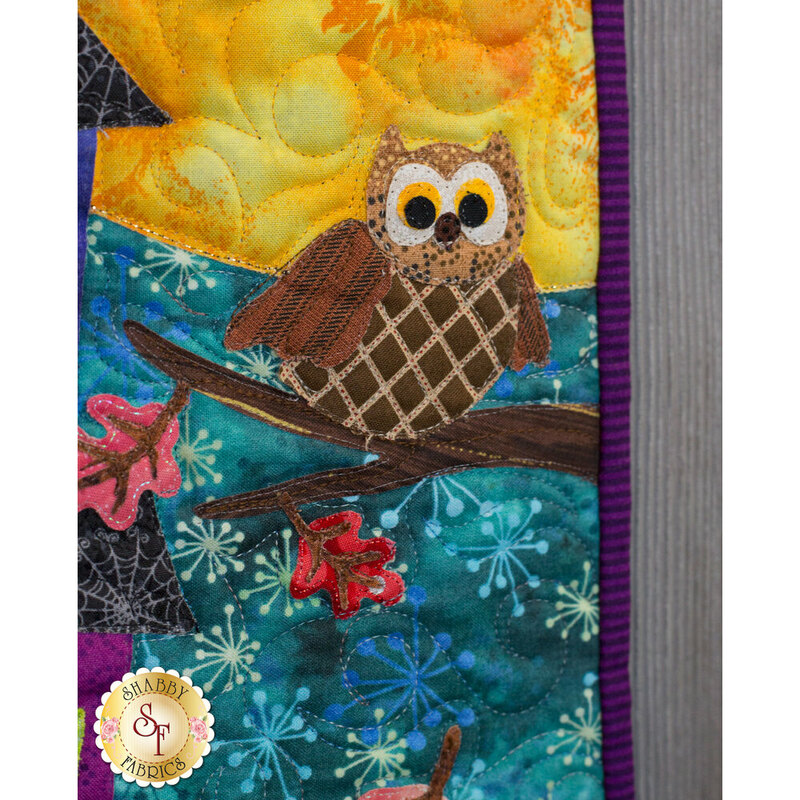 Wall Hanging measures approximately 12½" x 18½". The pattern includes instructions and diagram to complete the wall hanging.